That was fun, if not particularly helpful. 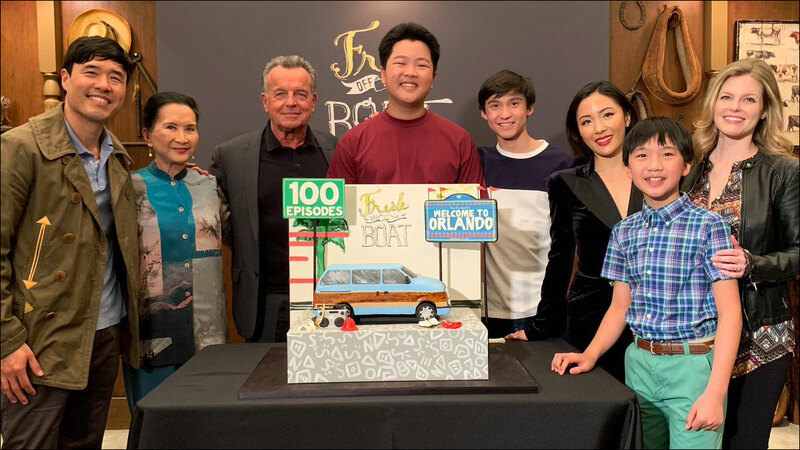 Episode 100 sees Eddie shipped off to a Taiwanese culture exchange program, modeled after the infamous "Love Boat" study tour for young Taiwanese Americans. Many Asian Americans will be familiar with this program -- there's even a documentary about it -- but it'll probably new to mainstream TV audiences. Kind of amazing. Tonight's episode, titled "Under the Taipei Sun," also marks something of a crossover for (North) Asian American television. Simu Liu, who plays Jung on the beloved Canadian sitcom Kim's Convenience, guest stars as a noodle vendor named Willie who helps out Eddie when he gets separated from his tour group. Fresh Off The Boat airs Fridays at 8:00pm on ABC. Set your VCRs.